My sister, Quilter Bonnie, made this quick quilt from a stack of indigo blue and off-white charm squares. With so many Japanese prints in the mix, I definitely wanted to do an Asian edge-to-edge design. This one is simply called "Plum Blossom". Longarm quilters love extra-wide backing! We used wool batting, to keep the recipient warm. I love that wool batting is washable! 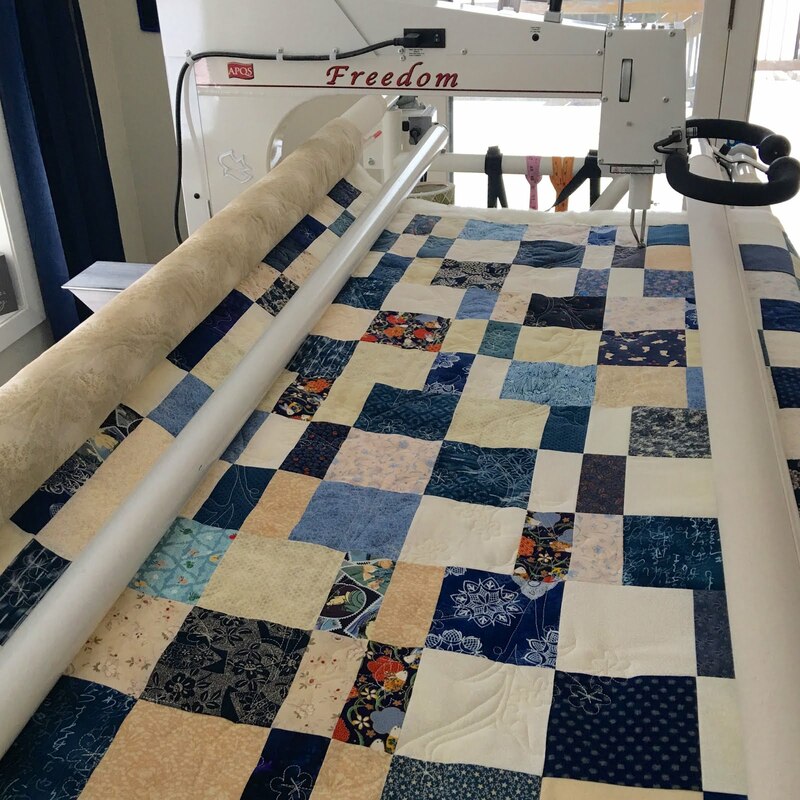 Great job, Quilter Bonnie! This will make a lovely gift. 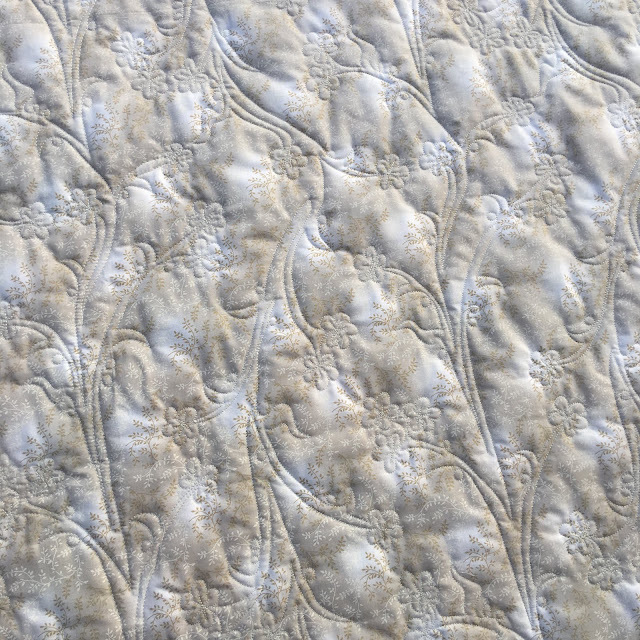 Nancy, the Plum Blossom quilting is so beautiful and it really makes this quilt special. Thank you for taking the extra time in quilting this. My mother-in-law is going to love this quilt. That is such a pretty quilting pattern. I will be sure to mention it to my LAQ. 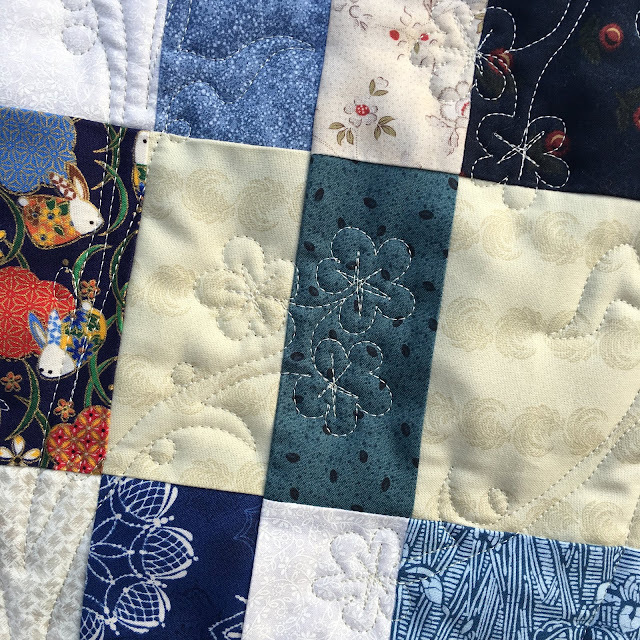 What a pretty quilt, and the Plum Blossom is so fun. It will make a lovely gift! 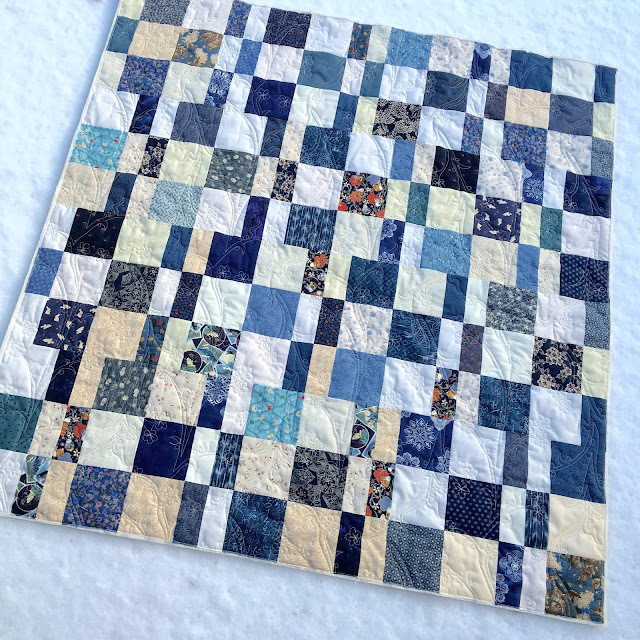 Great little quilt and wonderful quilting pattern - as usual - your selections are spot on. Stunning quilt, and I love Japanese fabrics! That plum blossom quilting is so beautiful. Did you do that freehand, or is there actually a plum bossom panto? Great job to you both! Beautiful quilt, and I think you chose the perfect design! Oooh, I love this quilt. I have a stash of 5" squares of Asian fabrics which would be perfect for this pattern. Your sister and you make a great team, I love the plum blossom pattern. 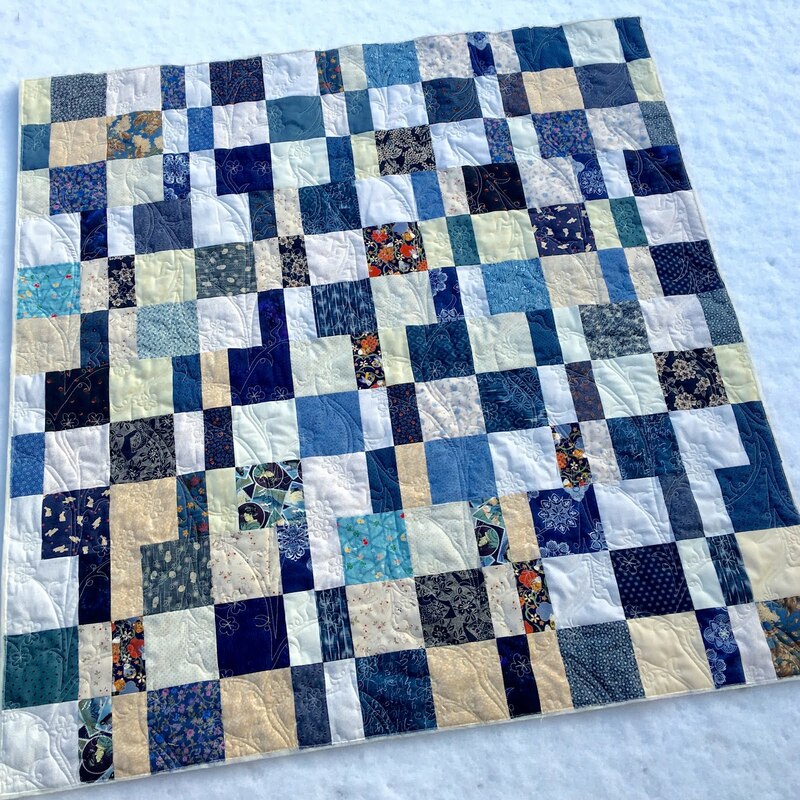 Lately, I have been drawn to blue and white quilts. Maybe I should add one to my "to do list". Your quilting and the fabrics make this one fabulous! Lovely quilting and a great choice of design. Your sister's quilt turned out SEW pretty!! The quilting pattern you chose is really sweet. Very pretty quilting design--perfect for the top! I have been meaning to try wool batting, but haven't had a chance to try it yet--hopefully soon! "Plum Blossom" is so pretty - reminds me of Cherry Blossoms! Beautiful quilt!